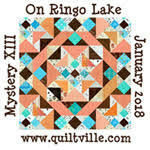 I attached the borders to my Mayflower Quilters' Guild Mystery quilt. I had to go with the solid blue fabric as I had totally run out of the yellow fabric. The yellow fabric is brighter "in person". It is a very foggy day here today. Now I just have to get it quilted and bound before the May Guild meeting, or is it the March meeting? I will have to check! 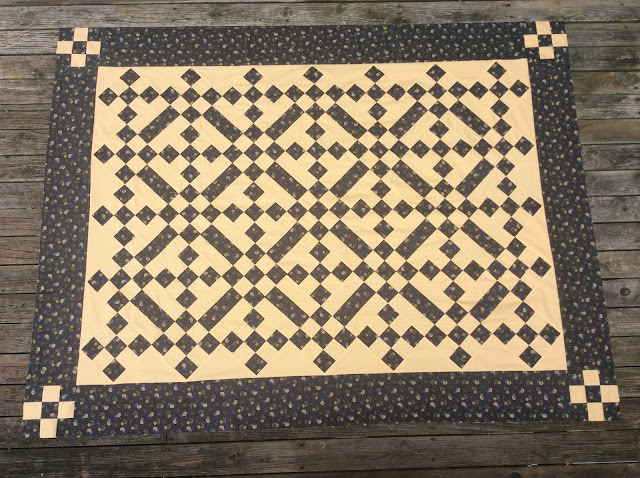 I am linking up with Crazy Mom Quilts for finish it up Friday.